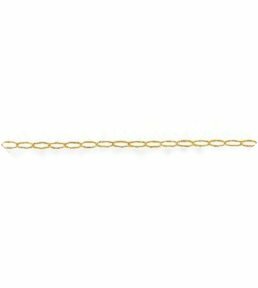 9ct Gold Trace Chain in 16inch 410mm length, oval belcher style fine links Trace chain in 9ct Gold with clasp. 16 inch necklace length. Gauge approx 1mm width Trace necklace chain.